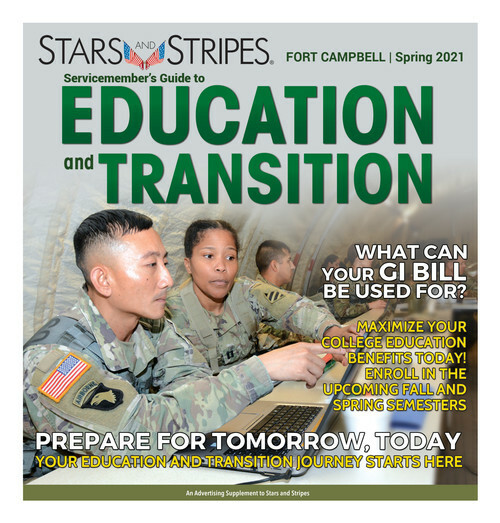 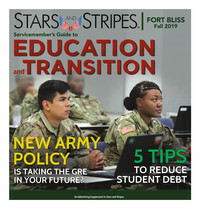 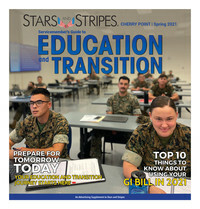 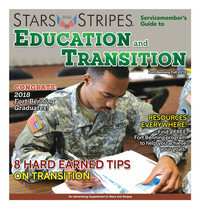 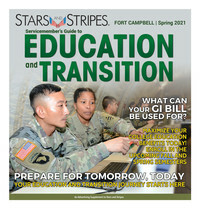 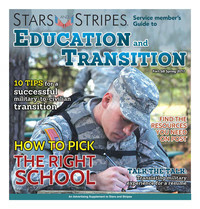 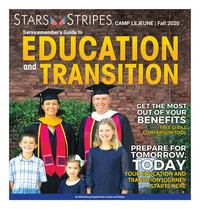 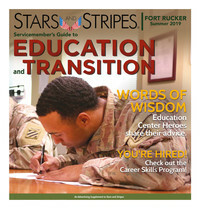 In partnership with on base Education Centers and other service organizations, Stars and Stripes publishes the Servicemember’s Guide to Education and Transition for the benefit of local servicemembers, in various locations throughout the United States. 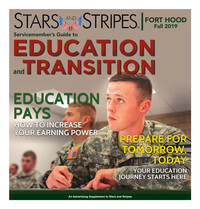 Each edition includes information geared toward men and women serving in the military who want to get ahead by pursuing higher education. 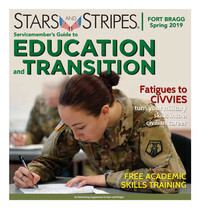 This guide includes tips on adjusting to college life, information regarding the post-9/11 GI Bill, profiles and success stories of local student servicemembers, base information and more.